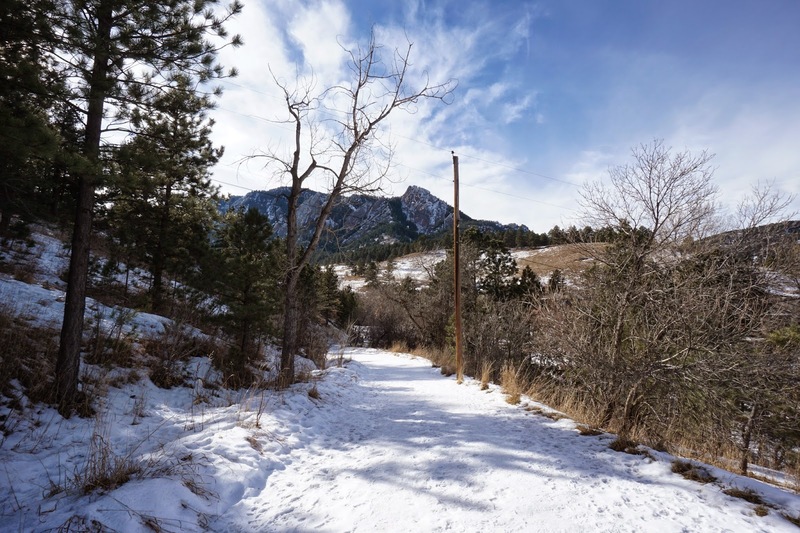 Directions: From Boulder head west on Baseline Road towards Chautauqua Park. 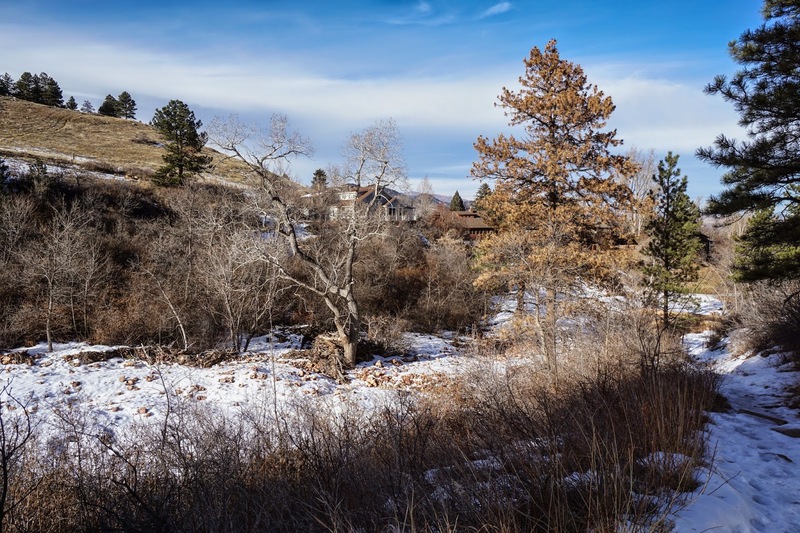 Turn left on 12th Ave, and follow 12th to the parking area near the Enchanted Mesa Trailhead. 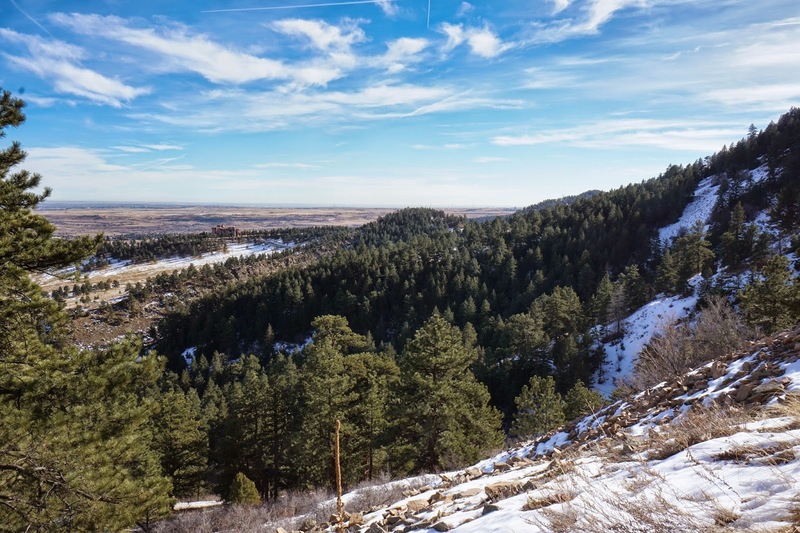 The Enchanted Mesa > McClintock Loop is a classic Boulder Mountain Park hike. 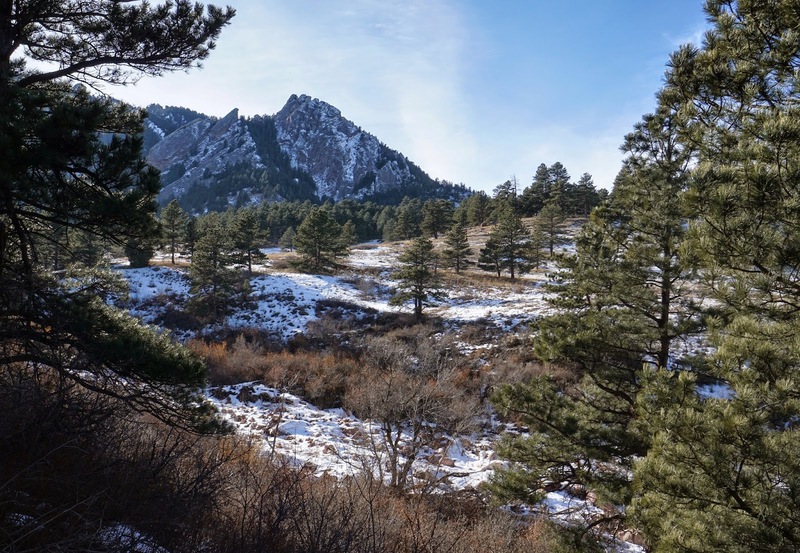 While the trail does not have the stunning views of the Flatirons that some other nearby routes provide, the scenery is peaceful and serene and the hiking is moderate and relaxing. 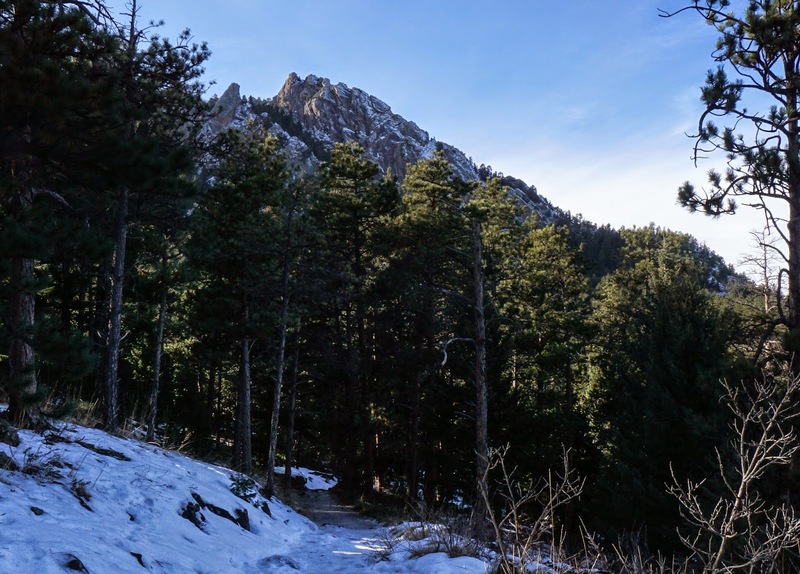 Adding the Woods Quarry Trail gives this hike that extra push needed to make it a classic. 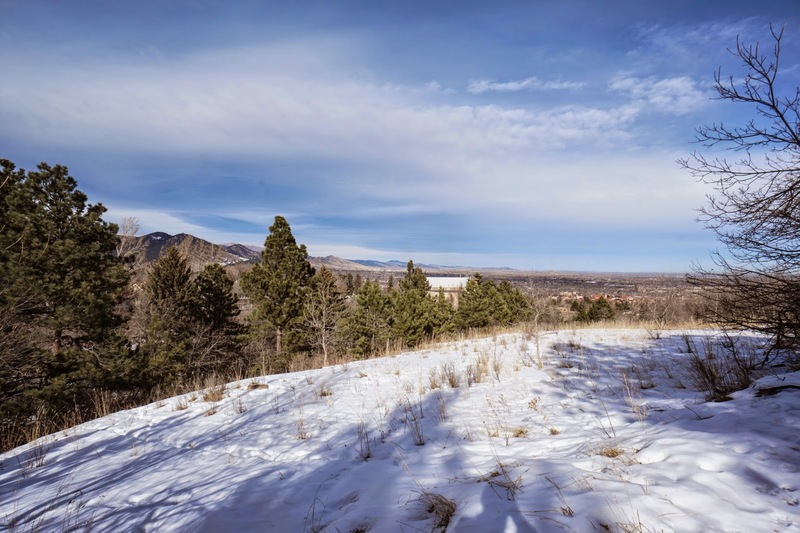 From Chautauqua Park and the Enchanted Mesa Trailhead, you immediately have a choice to make. 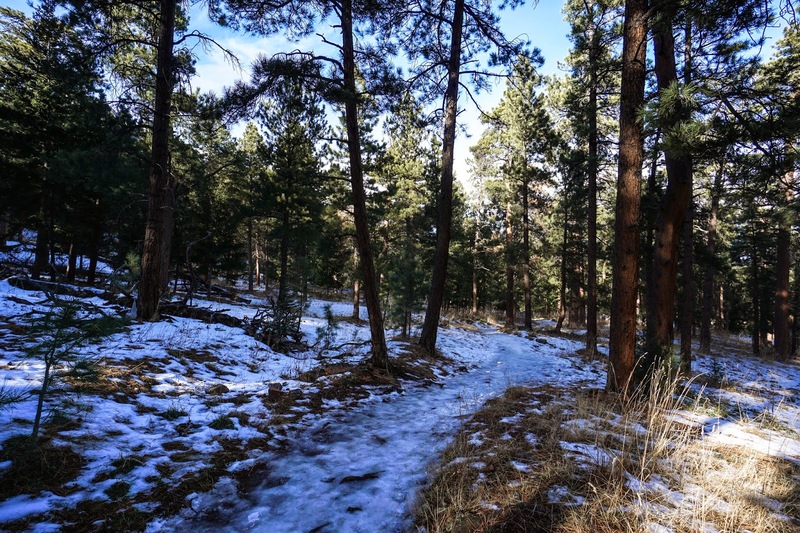 The Loop consists of the Enchanted Mesa Trail and the McClintock Trail and you can start on either path. 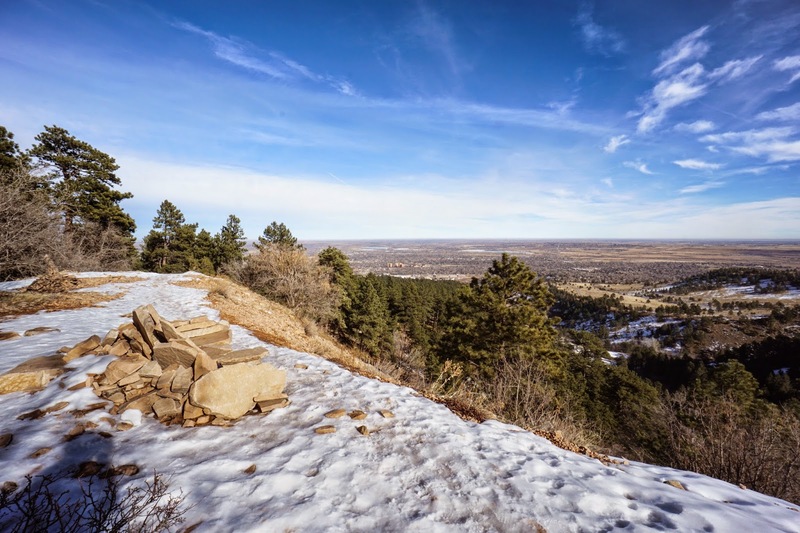 I suggest ascending via the Enchanted Mesa Trail and coming back down on the McClintock. 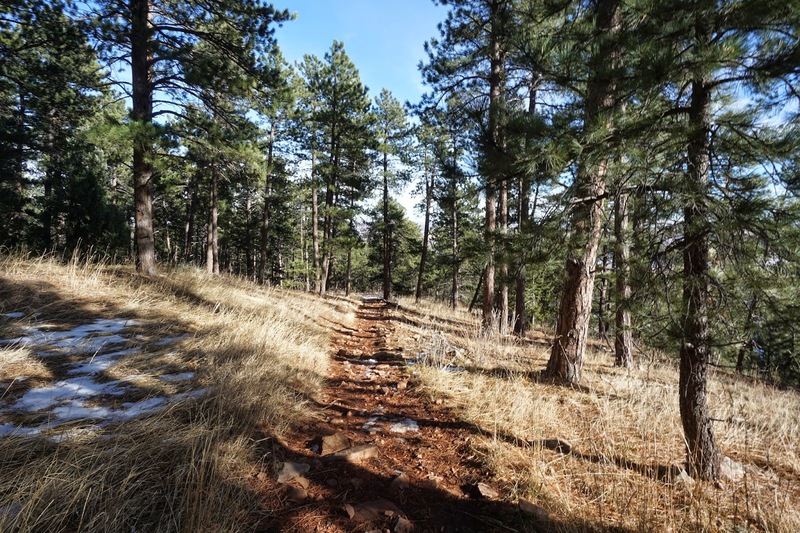 The Enchanted Mesa Trail has a gentle grade and is far easier than the sometimes steep McClintock Trail. Also, this direction saves the best views for the end of the hike which is always a nice way to finish up. 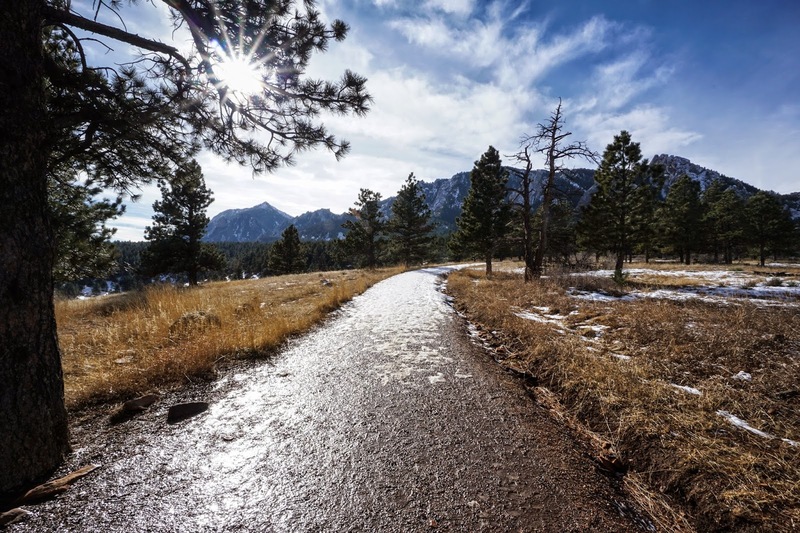 Follow the Enchanted Mesa Trail up as it winds though pine forest. 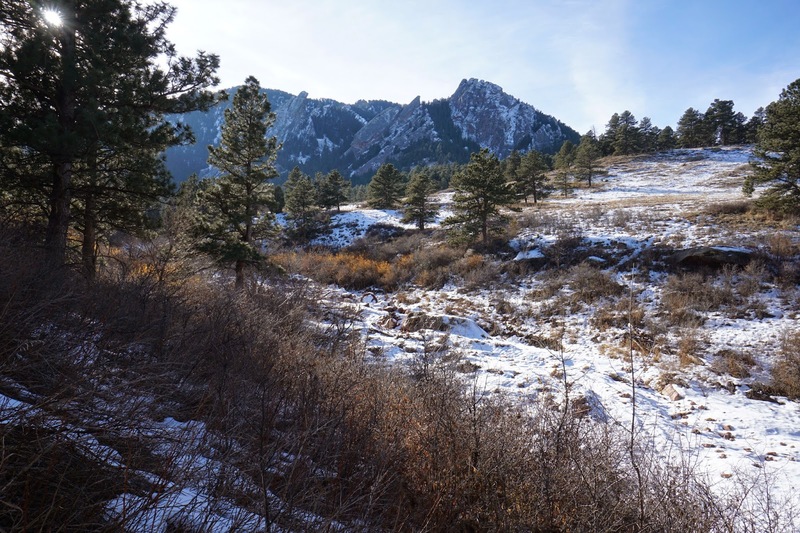 The first attraction is a wonderful view to the south portion of the Boulder Foothills including a great look at Bear Peak. 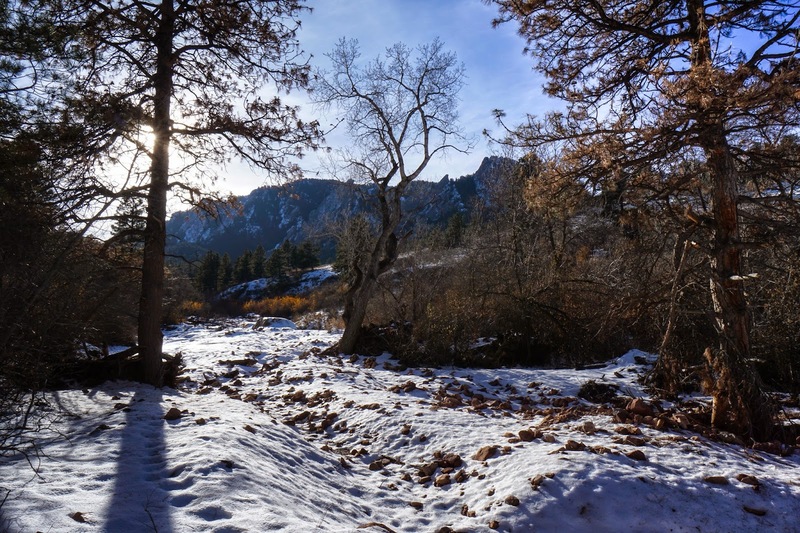 Continue of the Enchanted Mesa Trail until you reach the Mesa Trail. Just a few feet further west is the turnoff for the Woods Quarry Trail. 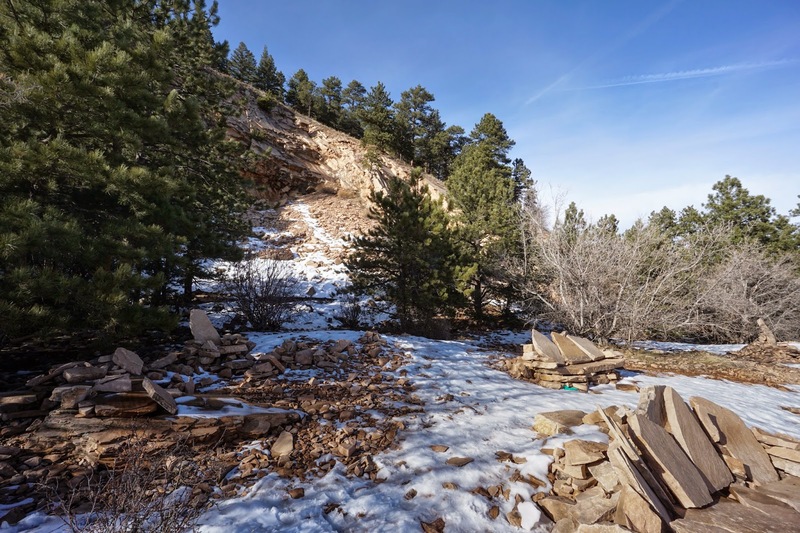 This trail rises steeply to an overlook at an old historic quarry. The view looking down on NCAR and the plains is fantastic and there are a series of benched made out of a large slabs of rock for relaxing. Just before the viewpoint, the trail down to the Mesa Trail is unsigned but easy to spot. 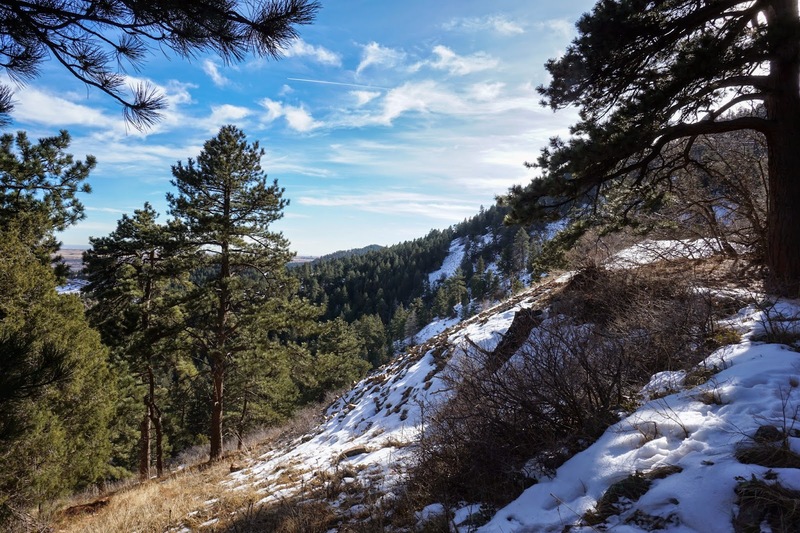 After you take in the view, backtrack a few dozen feet and head down the steep trail. 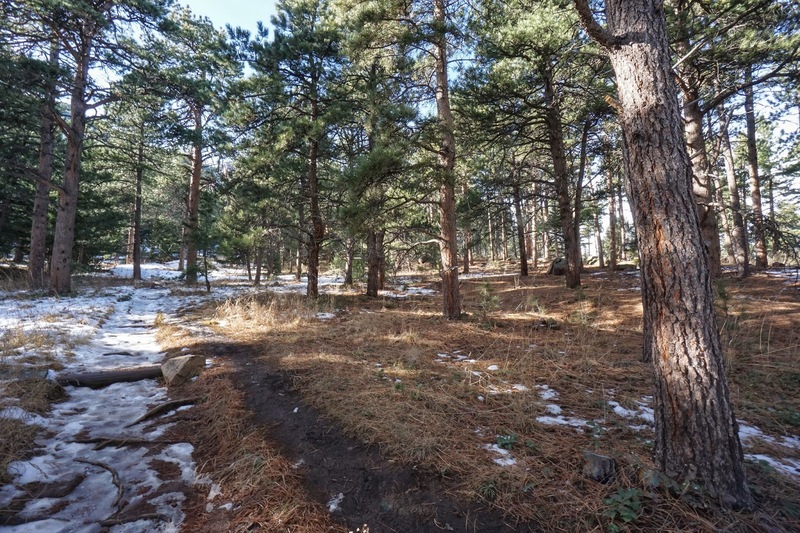 Just after a small old cabin in the woods, you'll rejoin the Mesa Trail. 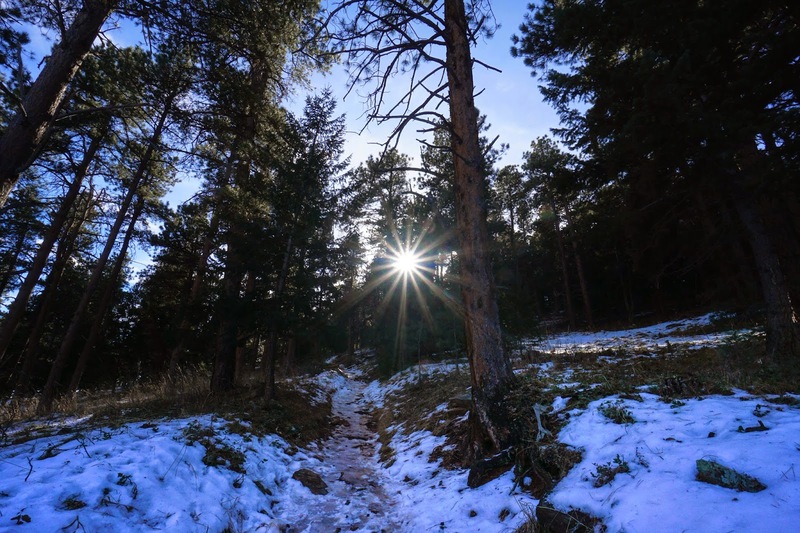 Follow the Mesa Trail north to the McClintock Upper Trail. This trail is a direct line back to the trailhead. 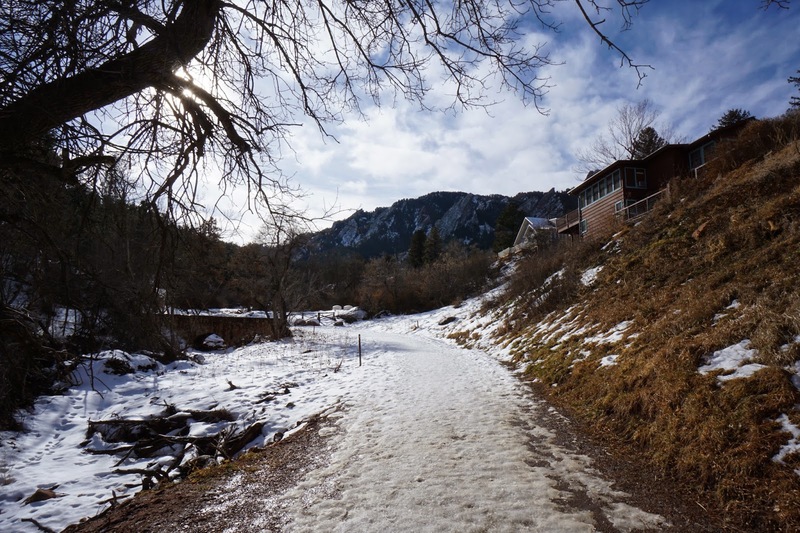 It can be steep at times but overall it is a wonderful trail. 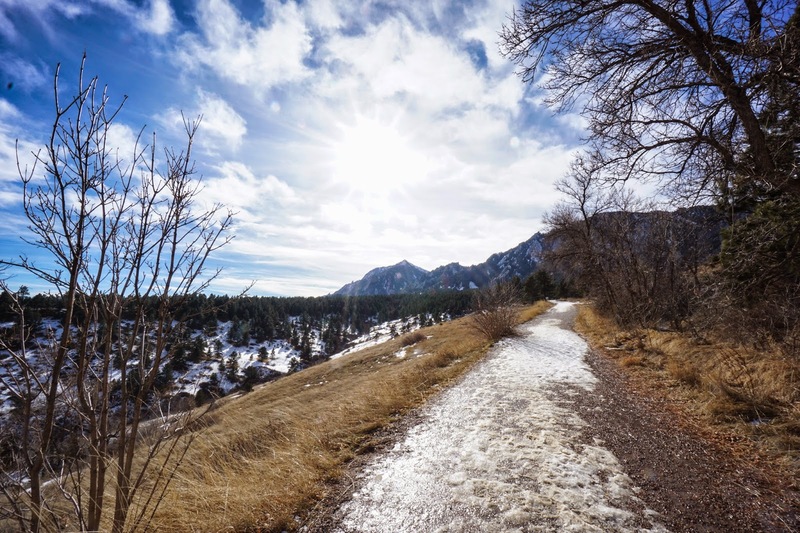 Make sure you keep on looking back behind you for great views of Green Mountain and the Flatirons.